Trinidad & Tobago Criminologist Daurius Figueira , has said that there are not enough laws to deal with cult leaders who use religion to lure young people. Trinidad & Tobago Newsday quoted Figueira as making the comments as he was addressing the issue of missing teenager Shindlar Cuffy. Missing Shindlar Cuffy in happier times. 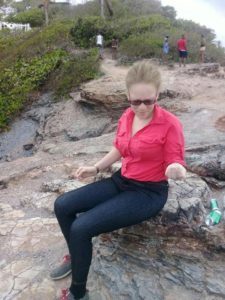 Cuffy has not been seen since November 26 and Figueira felt the words of a voice note left for Cuffy’s parents indicate she was in fact taken by a cult, the Newspaper reported. “This is a very problematic area for the police, since we have enshrined in the Constitution, rights to personal beliefs,” Figueira said. He observed that all over the world, cult leaders use religion as a means to mask their activities. “But in TT, we do not have a body of laws such as exists in Europe or the US to deal with using religion to target people. “Therefore cult leaders can easily utilize this cultic front in the country,” he said. The mother of the missing teen, Shondel Shallow, also believes her daughter has been lured by a cult. He doesn’t believe this is a single case, but that cult leaders are out there recruiting other young people, Newsday said. “One can never know the purpose of the cult. Trafficking them out of Trinidad can very well be a part of the purpose of the cult,” he said. Those who recruit, he said, look for specific types of individual to target and in the case of human trafficking via a cult, they will target young women. The laws are allready there,besides you al so have to use your common sence you dont authorize a cult that practices some crazy Vudu stuff,to open a gathering place and to practice these rituals. when they tell you not to work on Saturdays and to give 10% of your earnings to the church, what you go call that?….a CULT! !.